Aldridge worked at the Philadelphia Inquirer from 2004 to 2008, covering the National Football League and National Basketball Association as a reporter and columnist. He was part of the Inquirer team that received a second-place award for the series "The Future of Pro Sports" in 2005 from the Society of Professional Journalists, Greater Philadelphia Chapter. He was initially scheduled to be one of dozens laid off at the paper in January 2007, but was retained. He works as the "Insider" for TNT's Inside the NBA and does sideline reporting work during the regular season, All-Star Weekend and the NBA Playoffs. 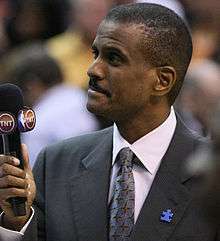 He is also co-host of the weekly show The Beat on NBA TV, and is a commentator for other NBA on TNT features. He has worked as a sideline reporter for television broadcasts of college football games and the Major League Baseball divisional series. From February 2007 through June 2008, he appeared on The Tony Kornheiser Show on Washington Post Radio and later WWWT in Washington, D.C. as co-host. He returned as sometime co-host of the latest incarnation on WTEM in September 2009. As of 2016 he is a regular co-host on the show.